Put our team of HR Professionals at your fingertips — anytime, anywhere. HRProMobile provides on-the-go access to the award-winning HR Support Center. 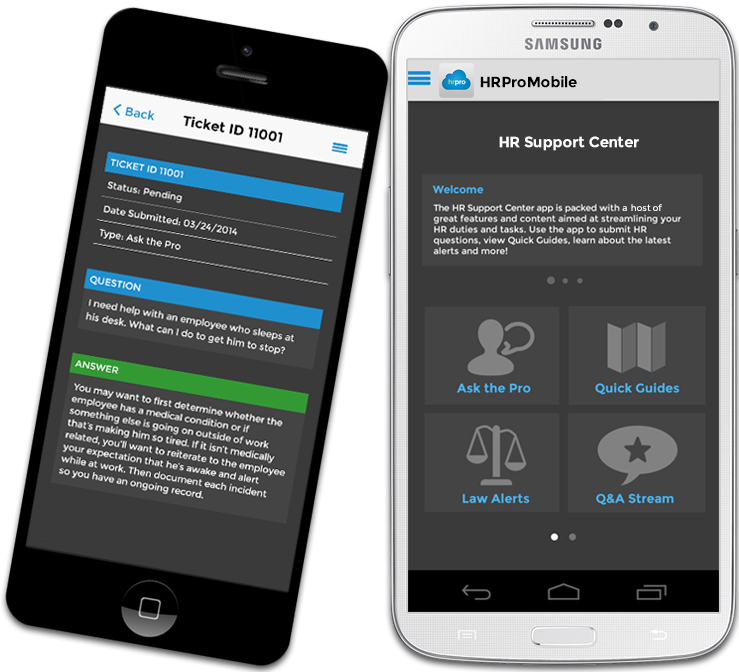 Through HRProMobile you can view the HR Support Center's most popular and dynamic content directly from your mobile device. This content is designed to help you manage your HR compliance, employee management, and workforce optimization issues as efficiently and effectively as possible. We'll also keep you up-to-date on HR best practices and regulatory changes.